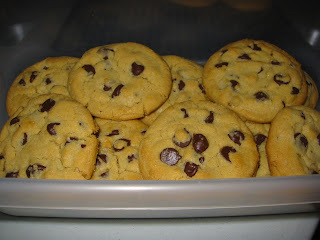 Chocolate chip cookies are my signature baked good. I basically follow the Nestle toll house recipe with a few tweaks, but they always turn out delicious if I do say so myself. I won't tell you all my secrets, but the most important thing you have to do is make sure the chips aren't touching the cookie sheet. The entire bottom of the cookie should be dough, with the chips in the middle and on top. It's a simple thing that makes a huge difference. And the Award Goes to... Chocolate Lava Cake!! !